Published in audio by St. Martin’s Press, published in print by Macmillan Audio, both imprints of Macmillan. Hildy Goode is a big fish in the little bond of her small New England town. She’s an incredibly successful real estate agent and, as such, is one of the most most successful business women in the area. Well, all this was true until a few years ago, when Hildy’s daughters sent her to rehab. Now that Hildy is on the wagon (at least, sort 0f), much of the rest of her life seems to be falling off. Her business isn’t what it once was, and she feels distant from her neighbors, these people she has known her whole life. What Hildy needs is someone who doesn’t who doesn’t know her past, and she finds that someone in Rebecca, a woman who is new in town. Rebecca is just as lonely and isolated as Hildy, but her friendship may not be as beneficial as Hildy imagines it will be. Hildy and I are in very different places in our lives, and initially I had a difficult time connecting with her. She comes across – particularly in audio with Mary Beth Hurt’s narration – as brash and not a little acerbic. As the story progresses, however, it becomes increasingly clear that Hildy’s tough exterior is a protective shell around a very vulnerable interior. Once it became clear just how broken Hildy really is, it becomes much easier to empathize with her and I found myself more and more absorbed by Leary’s very realistic story and characters. Mary Beth Hurt captures Hildy absolutely perfectly. She becomes Hildy so much that during the period where I found Hildy prickly and so disliked her, I found that Hurt’s narration to be exacerbating the issue, as she amplifies the personality Leary creates for Hildy. As Hildy becomes more vulnerable to the listener, however, Hurt reflects that as well. It is a really masterful performance from someone who clearly really understands the journey of the character to whom she is giving voice. For more, please see my review for Audiofile Magazine. 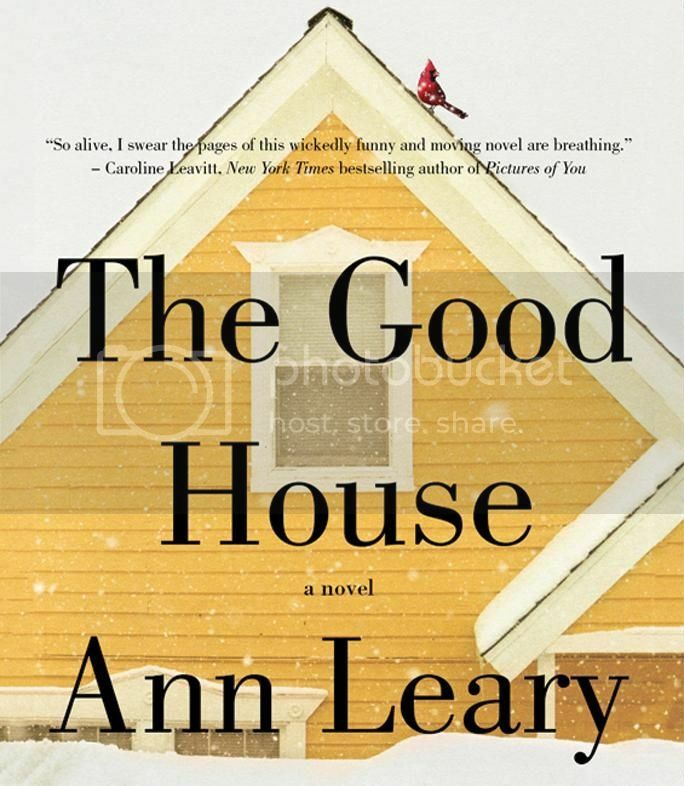 In less able hands, I might have ended up abandoning a book like The Good House, because, on the surface, it does not appear as if it would really speak to me. However, both Leary and Hurt imbue the book with so much heart and reality that I ended up incredibly impressed by their work. Recommended. Family isn’t always easy, and the Turner family has their own special problems. Michael Turner is trying to make things work with his live-in fiance Casey, but his mentally ill ex-wife Mallory doesn’t make that easy, particularly when Michael must worry about his three children every time they visit their mother for the weekend. Casey has demons of her own – the death of her brother, her recovering alcoholism – and is no longer sure that her love for Michael is enough. She’s ready to walk out the door, never to return, when she gets a call from the high school that Dylan, Michael’s middle child, attends, saying that he never showed up for school. Suddenly a complicated situation is made all the more complicated by a missing teenager, and the Turners must decide just what sort of family they really are. Riggle is at her best when she is living inside the messy reality of modern families, and Things We Didn’t Say is full of some of her most deliciously flawed characters yet. All six of the major characters – Casey, Michael, Mallory, and the three children – narrate at least one chapter in their own voice. As opposed to her first book, Real Life & Liars, which also featured a family, but in which most character’s chapters were in the third person, each family member actually gets to narrate their chapters in first person, bringing the reader closer to even the least central members of the family. Particularly effective is one of Mallory’s chapters, her smug and destructive attitude practically oozes from the pages, leaving the reader feeling furious, and perhaps slightly contaminated by her bile. Things We Didn’t Say is a fascinatingly intimate look at the lives of a single, ordinary family during a time of extraordinary crisis. It is rich and engrossing, a read that will captivate your very heart. I read almost the entire thing in two sittings, and would have easily sat long enough to read it in a single sitting, had my own life not intervened. Things We Didn’t Say is a beautiful book; highly recommended. Disclaimer: Please note, I have spent some time in a friendly manner with Riggle at various book events, but this has in no way influenced the content of this review. I loved this book wholeheartedly because it is great book, and not because I occasionally chat with Riggle on Twitter.